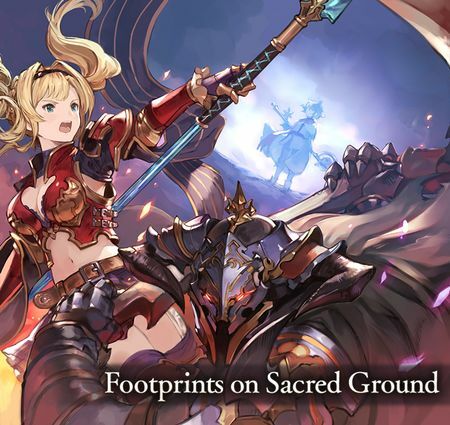 Footprints on Sacred Ground is a side story that became available on November 26th, 2018. 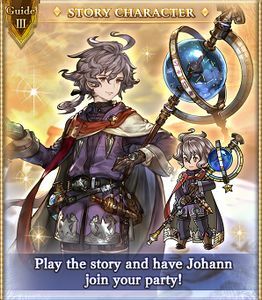 It is unlocked after clearing Chapter 20 Story - Reach for the Skies . texts appears from out of the mists of legend. 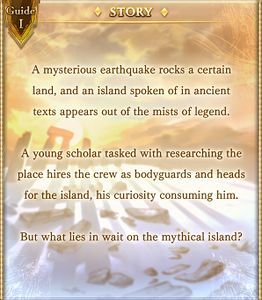 for the island, his curiosity consuming him. But what lies in wait on the mythical island? Wind God and Thunder God is, quite frankly, an awful summon with a Call that only deals damage. Wind players should instead earn Anat from the Casino. Brand new Light players may find some use from its Aura if you don't have any better. Thunder God Spear has a big Light ATK Up weapon skill and a decent Charge Attack effect which makes it a great filler while you're building a Luminiera grid. If you do not have a Light element spear in your reserve, you may want to keep it for Light Holy Saber/Spartan or Bishop/Sage. 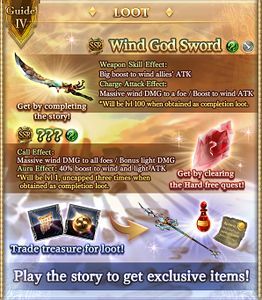 Wind God Sword has a big Wind ATK Up weapon skill and is an SSR Wind Sabre. Aside from being an easily obtainable SSR Wind sabre, it is not remarkable. Note that Sephira Emerald Sword is an alternative Wind sabre that is obtainable from Arcarum. Very simple healer kit; one of the oldest designed event characters in the game. Difficult to sustain a whole party with his single-target heal in longer battles. Brand new players may appreciate a free Light healer, but his mediocrity makes him easily replaceable. Massive Wind damage to all allies. Inflicts Heavenly Seal on all allies. Large Light damage and inflicts Gold Sealed. Light damage to all allies. Inflicts Bipolar on Thunder God, reducing its DEF based on number of debuffs. 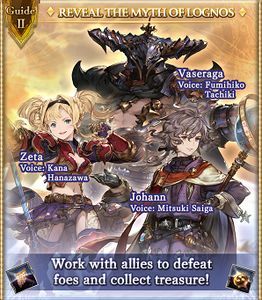 Party: Main Character, Vaseraga, Zeta, and Johann (Event). Thunder God has very high debuff resistance. Grand Order is a good support summon for this challenge. Ascended Hero 神境を辿りし者 ★ Get 200 sacred medallions Crystal ×30 No longer available.